Watch this video: Take 2 minutes to change your life! We're excited to launch the Bandwidth Learning Lab- a library of step-by-step guides in the Bandwidth Dashboard that prompt and train you through key tasks. These aren’t just simulations or videos. They’re embedded guides that prompt you through the actual processes you perform in the Bandwidth Dashboard. It’s like having an expert train you through every step! Create new Sub-Accounts and Locations to organize your inventory. Users tend to build new Locations to segment their customer channels that have unique IP addresses. Stay up-to-date on the status of your port orders, backorders, and more. In this lesson you will learn how to subscribe to receive email notifications on phone number order activity. In this lesson, you will learn how to order one or more phone numbers. With augmented searching, a shopping cart, advanced filtering and the ability to span multiple search criteria in a single order we think you’ll be faster than ever at ordering numbers. 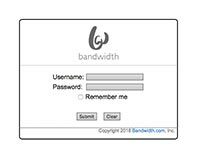 Porting can be complicated, which is why Bandwidth is here to help. In this lesson you will learn porting best practices, how to increase your likelihood of getting your preferred FOC, the difference between a partial port and a full port, how to use our 'Customer Activation' feature, and more! 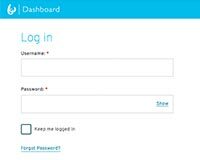 An Administrator may create additional user logins to give other team members access to your Bandwidth Dashboard account. The Bandwidth Dashboard can produce rated call detail reports. Learn how to download Billing Detail Records (BDRs) for voice and Message Detail Records (MDRs) for messaging. Visit pay.bandwidth.com to remit payment. From this page, you will need your Account ID and your invoice amount. Follow this guide to learn how to find these key components! In this lesson, you will learn everything that you need to get started with sending text messages. Follow this guide to generate an application and associate it with your phone number’s location. Get to know your port order. 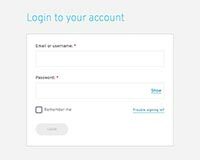 Stay up-to-date with the status of your port order, send a note to the Bandwidth team, upload a Letter of Authorization (LOA), and cancel your order if necessary. A port order in Exception status means that Bandwidth received a rejection from the losing carrier. Learn how to edit the order to update the end user details to reflect what the losing carrier has on their records. We give you the freedom and flexibility to choose the date and time that your numbers are activated so your staff can be on-site or on-call if needed. This lesson will walk you through setting a custom porting time.